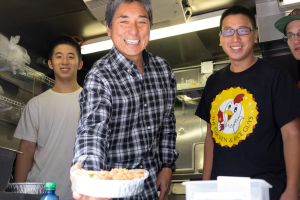 Near the end of our conversation, Guy Kawasaki starts talking to me about hard-boiled eggs. 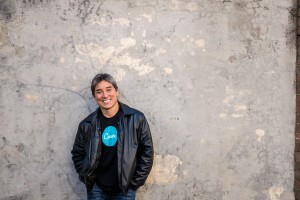 If you had asked me just yesterday morning to guess what kinds of things the author, speaker, chief evangelist of Canva, and former Google advisor and Apple evangelist would bring up in our interview, hard-boiled eggs would not be on the list. But there he was, talking about hard-boiled eggs. Except, of course, Kawasaki wasn’t just talking about hard-boiled eggs for the sake of talking about hard-boiled eggs; instead, he was making a point about why his newest book, The Art of the Start 2.0 -- an updated version of his original, now decade-old Art of the Start – tends toward the “tactical and the practical” above all else. (For the record, the baking soda tip has supporters and unimpressed detractors in seemingly equal measure). 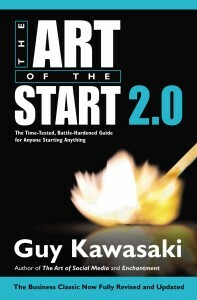 To mark the release of The Art of the Start 2.0 (which drops today, March 3rd, 2015), we offer this interview with Kawasaki on what’s changed since his first book, why business plans don’t matter, and the importance of rhyming. Recruiter.com: First, I want to begin by talking to you a little bit about your book, The Art of the Start 2.0. I was hoping we could start with an overview of the book and how it’s different from its first incarnation. 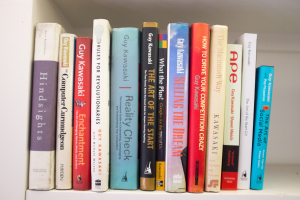 Guy Kawasaki: The Art of the Start 1 and The Art of the Start 2 are 10 years apart, and it’s amazing how much stuff has happened in 10 years. For example: cloud computing, crowdsourcing, crowdfunding, social media … and these kinds of things make a lot of difference in entrepreneurship. Basically, the big picture is that almost everything an entrepreneur needs today is either free or cheap, and so that forced the rewrite – because those are some huge details! RC: I’m glad you brought up entrepreneurship, because that reminds me of a quote that I had come across while I was doing some research, this idea that “entrepreneur is a state of mind, not a job title.” I was wondering if you could expand on that little more. What does that mean, exactly? GK: I mean that simply calling yourself an entrepreneur doesn’t make you an entrepreneur. And if you don’t apply that [word] to yourself, you could still be an entrepreneur. It’s not about the label – it’s about how you view things. An entrepreneur views the world as half full, not half empty. [An entrepreneur believes that the world] is full of potential, and it is possible to change the world, and innovation is necessary. If you have that kind of perspective, you’re an entrepreneur. It’s a state of mind. RC: Do you think that having this state of mind is a matter of being born with it, or is it something you learn and come to believe? GK: I think it happens both ways. If my book were only good for people who were born as entrepreneurs, it would not [move many copies]! The key here is that, sometimes, entrepreneurship is thrust on you. It could be that, one day, you’re in a lab, and something really cool happens, and you think it’s the basis of a company. You weren’t planning it. I don’t think [entrepreneurship] is only for the Steve Jobses of the world. For one thing, there’s only been one Steve Jobs! RC: That reminds me of another one of the ideas that I came across in researching and reading your book: this idea that business plans are no longer necessary. I was hoping you could say a little bit more about that, too. GK: This is why they are no longer necessary: because the plans are kind of fictional, you know? If not delusional. Delusional and fictional. The key today is execution, it’s not how good your Powerpoint, Excel spreadsheet, or Word document is. It’s all about execution. Also, people realize that a five-year business plan is kind of meaningless. Think about it: about five years ago, everybody thought Myspace was going to control the world. Clearly, it didn’t work out that way. So, who are we kidding? RC: Why is the five-year business plan less meaningful today than it used to be? GK: I don’t know if it ever was meaningful — but I think it is the pace of change. I’m sure there is some number that says it took GM 75 years to earn what Apple earned in 10 – something along those lines, anyway. Stuff is changing a lot faster. RC: The title of the book is another thing I wanted to talk about with you: The Art of the Start. I think it was interesting that you used the word “art.” Why is starting a business an “art”? GK: The opposition of art is science, right? And certainly, [starting a business] is not a science. One of the proof points that it’s not a science is because so many fail. If it were a science, I think it’d have a higher hit rate. And, to be quite honest, I was looking for a rhyme. And, so, “art” rhymes with “start.” Science doesn’t. And it would be a lie! Because it’s not a science.